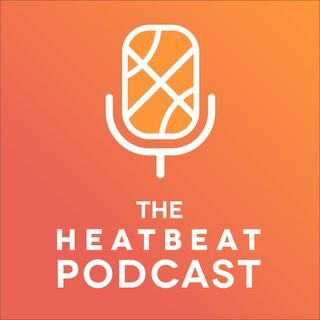 Welcome to The Heat Beat Podcast, a weekly NBA podcast hosted by Giancarlo Navas & Brian Goins bringing you the latest dose of Miami Heat news, insight, and commentary. Explicit Ep. 7: Domestic Girlfriend Episode - How is Hina Not In Jail? Welcome to The Heat Beat Podcast, a weekly NBA podcast dedicated to bringing you the latest dose of Miami Heat news, insight, and commentary. Hosted by Giancarlo Navas and Brian Goins, our clunky mixture of data-driven analysis, on-air buffoonery, and perspective is cleverly crafted for listeners to laugh and learn as we try to make ... See More sense of the NBA and its franchise in Biscayne Bay. Welcome to Subtitled Anime! It's a bi-weekly anime podcast that features a rotation of guests from around the anime community. Hosted by Giancarlo Navas, he tries to bring fun and relaxed discussion with the most interesting voices in the community.